5 years ago self taught Chef Brian Grimley and his wife Melanie decided to leave behind their large, successful restaurant in Colonial Beach Virginia in order to get back to the personal touches and passion of running a smaller restaurant. 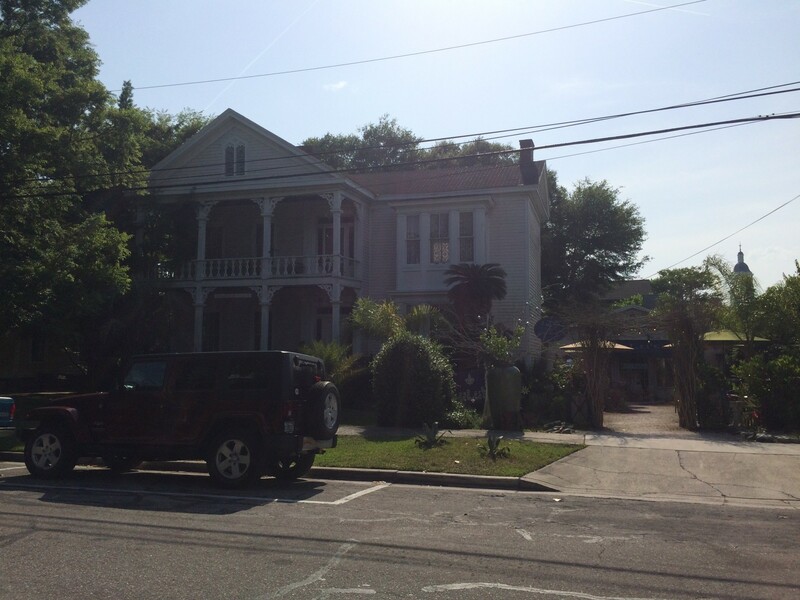 Their restaurant Lulu’s at The Thompson House located in Fernandina Beach is a simple little space right next to their beautiful historic home, The Thompson House. 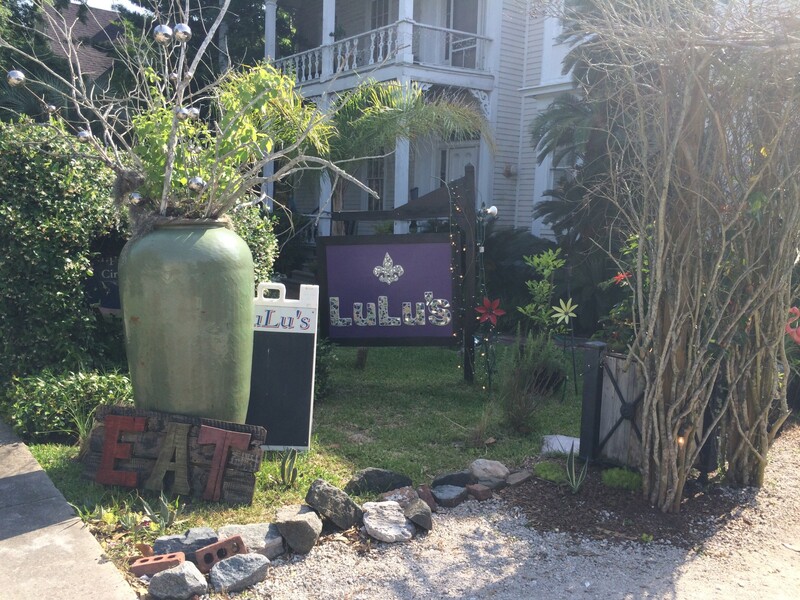 Lulu’s offers fresh seafood, flavors reminiscent of New Orleans, and a wonderfully laid back atmosphere. Chef Brian is originally from England. Since coming to the states many years ago he’s lived all over but seems to treasure his time in New Orleans most. He shared with me that style of cooking that truly inspires him is a style he picked up in New Orleans. Lulu’s has 6 or 7 small tables inside and covered seating for another 35 or so outside. I opted to sit outside since it was a beautiful Florida day. Entrees change seasonally with lots of fish on offer in the summer and a wide variety of more unique offerings in the winter. Things kicked off with padron peppers ($7), flash fried with sea salt and lemon. How can something so simple be so delicious? Crunchy, salty and full of flavor, I could eat the whole bowl by myself. 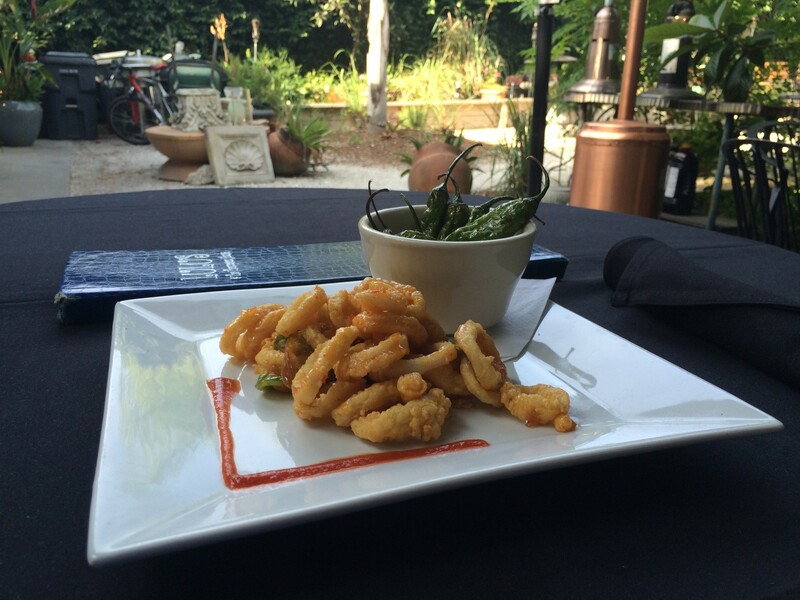 Next up were hand cut calimari rings ($9) with Anaheim chili peppers, flash fried and tossed with Thai sweet chili sauce. Everyone has calamari and at times it can really get old seeing the same thing over and over again. This calamari was a refreshing take on the staple. Hand cut rings offered up a nice freshness and a different texture than what you’ll find at most restaurants. I’d definitely order them again. We got a chance to try two entrees. The first entrée we tried was the ultimate Northeast Florida staple, Shrimp and grits ($21). 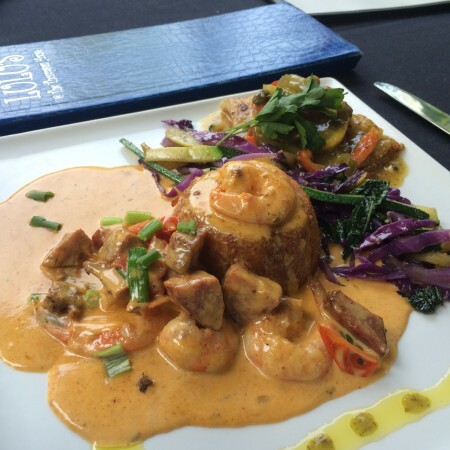 No matter the season, shrimp and grits is always on the menu at Lulu’s at The Thompson House. Chef Brian Grimley serves his shrimp and grits with sausage brought in from New Orleans and Anson Mills Grits. If you prefer your shrimp and grits with a grit cake you’re going to absolutely love this one! A nice mild Cajun sort of sauce and the addition of high quality sausage offered a taste you won’t find at many Jacksonville spots offering shrimp and grits. In this dish you get a small taste of the New Orleans flavors Chef Brian loves. Portuguese style grilled grouper ($28) was the next selection we indulged in. This beautiful fresh piece of fish was perfectly cooked, as were the veggies it was served alongside. Last but not least we got a taste of Brian’s British roots with the Bannoffee pie for dessert. 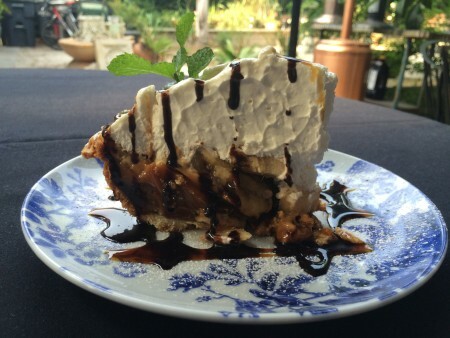 This Banana toffee cream was made famous by The Hungry Monk Restaurant in England and offers a wonderful indulgent mix of creamy salty and sweet. If you’re up for something incredibly rich and over the top this will be just your dessert. I’m not a huge pie fan and I still couldn’t get enough. Now 175+ reviews into this whole crazy journey of dining out and writing about restaurants I’ve had a lot of opportunity to reflect on what it is that a diner should want in a restaurant. What I ultimately believe that we as diners should desire is to encounter a chef’s passion, their life experience, and who they are as a person. When I dive into a dish I want for a moment to feel as if I got a glimpse into their life. I want the feeling you sometimes get when you view a beautiful painting on canvas and feel you know the artist. On my visit to Lulu’s I felt I got exactly that. In each dish, I encountered a bit of who Chef Brian is as a person. And through my time chatting and being served by Melanie and Chef Brian, I felt I experienced a bit of what it’s like to spend time WITH their family. In a world so devoid of authenticity Lulu’s is the epitome of authentic. Note: From time to time we’re invited out to try a restaurant. This meal is usually comped, as this one was. We’re under no obligation to write a positive review or any review at all when we’re invited out to try a place. Every review you see on our site will be an honest review of the place whether or not the restaurant provided us with the meal at their cost. Tagged american, breakfast, Dine-In Available, Home Delivery, seafood, Takeout Available, Takes Reservations. Bookmark the permalink.